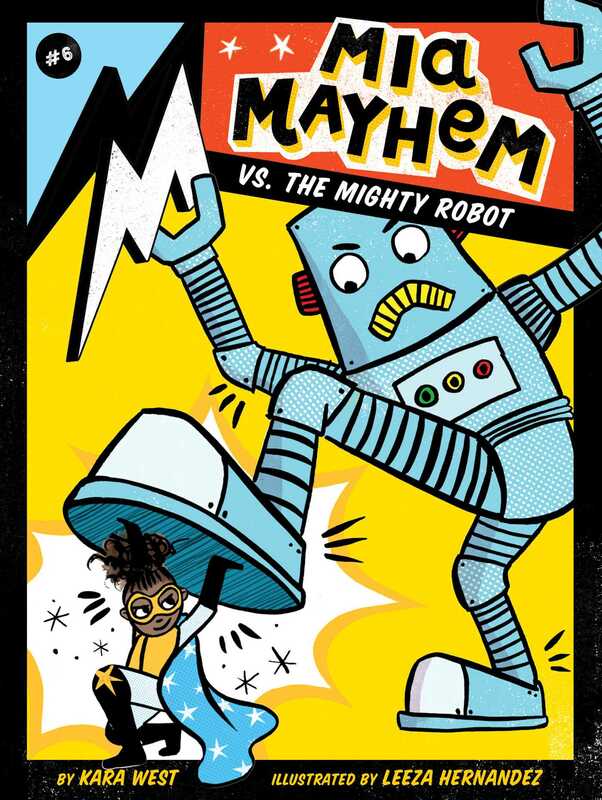 Mia goes up against a mighty robot in this sixth adventure of the Mia Mayhem chapter book series! Mia’s best friend, Eddie, has built an awesome robot that’s supposed to be a mighty cleaning machine! And at first, everything runs smoothly as the robot helps around the house and at regular school! But things quickly go haywire when Mia accidentally makes the robot grow three times its normal size. Does Mia have what it takes to go up against a mighty, big robot?